- Instructional courses about military operations, first aid, and shipments of medical supplies. 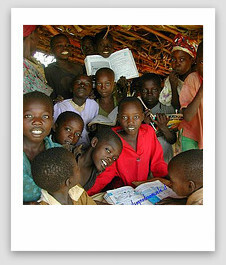 School supplies in this area are very expensive and there are a lot of children that can't afford regular school supplies, so the donations really help... I feel it gives us a better sense of connection with this country and its people. It gives you a real eye opener as to the needs other countries have.